Our P2 paver is the ideal large format paver for transforming your outdoor space. 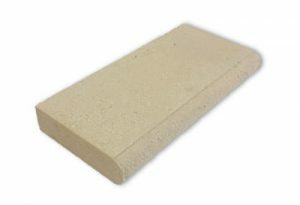 Made from high-grade raw stone, P2 pavers are designed and manufactured to the highest standard. The Limestone pavers contain natural properties that make the pavers cool to walk on in summer. Our P2 pavers aren’t just great to look at, they are made to last even when subjected to the harsh conditions our climate is known for. Our P2 Patio Pavers are a great option for your pool area. Our P2 Bullnose Pavers have a rounded profile perfect for paving around your pool, or for other edges. Our P2 Pavers are grand in size. The P2 Bull Nose Paver allows you to pave around pools or use them as step trends and capping.